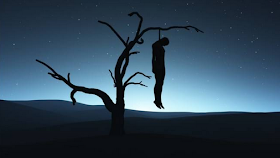 A professor of biological sciences at the Federal Agricultural University Makurdi, Frank Onyezili, has committed suicide. Punch correspondent learned that the Don who has gone. A source of the institution. The source said, "One thing I noticed was not complaining about proper care and he was getting older." Department head Ms. Waku Roseline has confirmed that the incident happened. Waku said Professor Frank Onyezili committed suicide on Friday at FUAM. When police spokesman DSP Moses Yamu was contacted, he said he was unaware of the incident.